This folio was designed to hold and organise everything our client needed when out of the office. 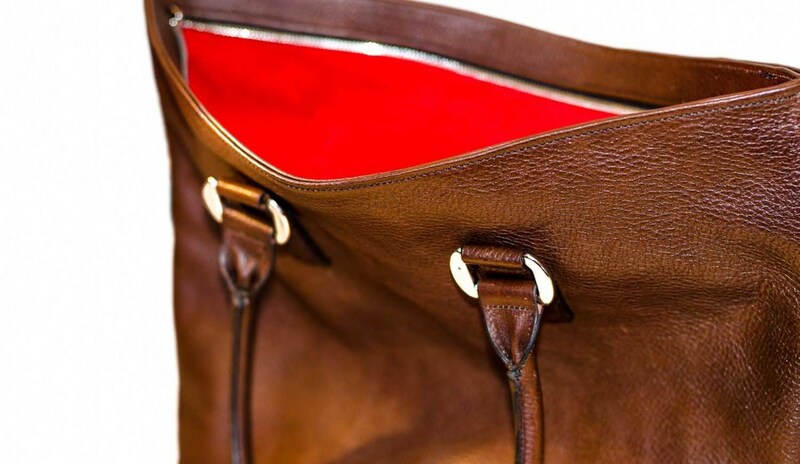 Each pocket was made to measure to perfectly fit its contents. It holds a Macbook Air, iPhone 5, writing pad and pens, business cards, back up battery, USB cables and even a car key! It is also fitted with a detachable strap handle for security. 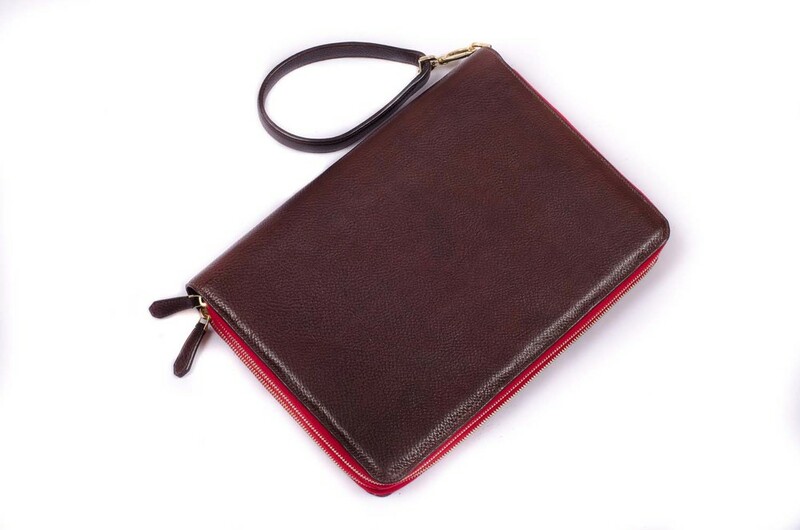 It is made from dark brown Tärnsjö calf leather with a red suede lining and gold plated Riri zips. Tan Tärnsjö calf leather tote. Suede lining with iPhone pocket and detachable key holder. Riri zip closure. Black cross grain calf evening clutch. Red suede lining with Riri zip pocket inside. 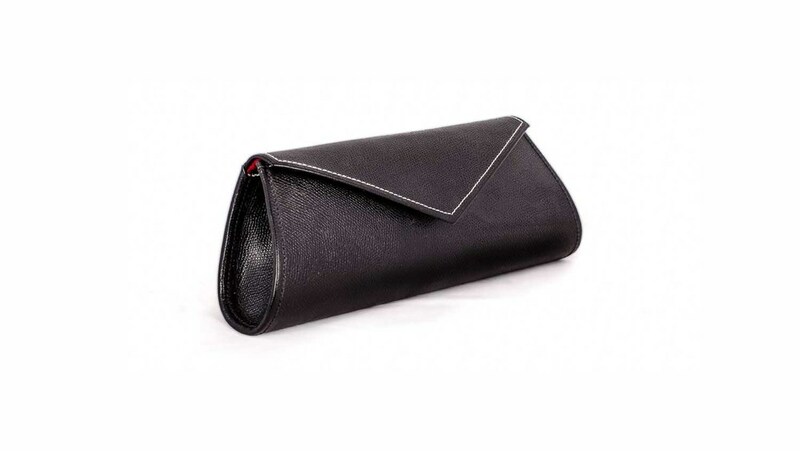 Constructed over a concealed rigid interlining to protect the contents and with a curved base so it is comfortable to carry all evening. Dark Brown Tärnsjö calf leather tote. Palladium plated hardware. Red suede lining with iPhone pocket and detachable key holder. The top is closed by a palladium plated Riri zip. If you have ever searched for the perfect handbag but nothing was quite right we can help! Handles too long or short? Too many or not enough pockets? Too many metal fittings? Or simply just the wrong colour? We can create your dream handbag to your specifications. From clutches to shoulder bags and everything in-between. From the classically understated to flamboyant statement bags the limit is your imagination. Crafted from wonderful Baker's oak bark tanned bridle hide and hand stitched with Irish linen thread this strap is made to last. 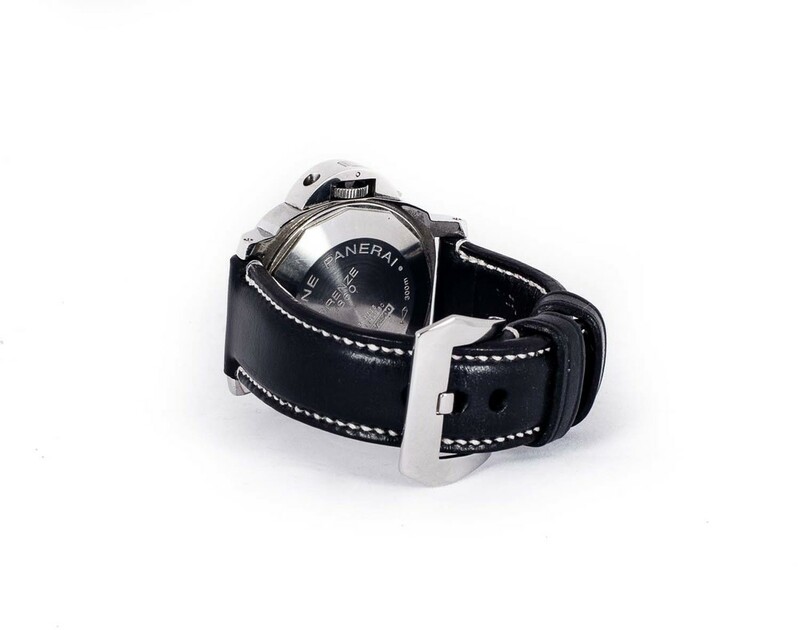 The strap has a raised profile and tapers from the watch to the buckle. It is fitted with Panerai tubes for attaching to the watch. 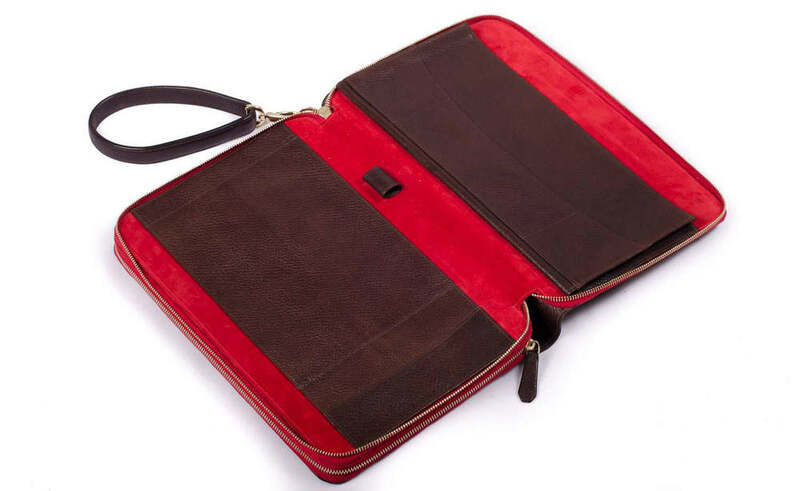 This iPad case is made from dark brown Tärnsjö calf leather, and lined in red suede. The outside cover is padded to protect the iPad. 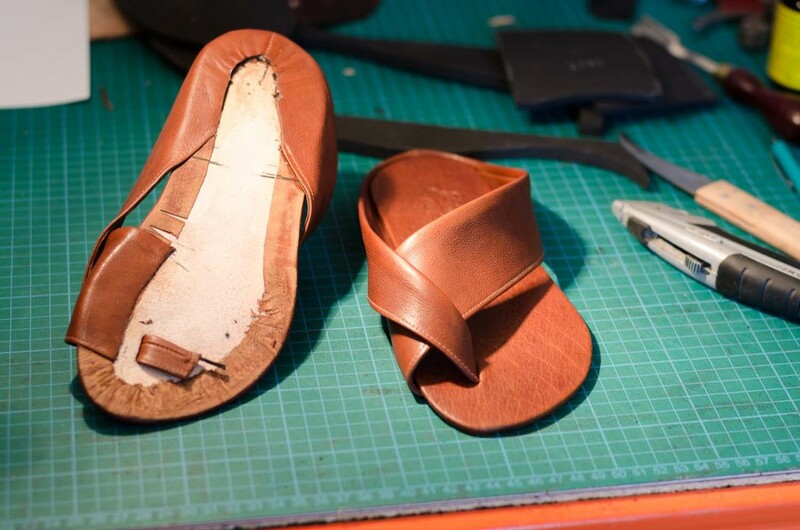 These sandals were created for a client to replace a favourite pair that had worn out. 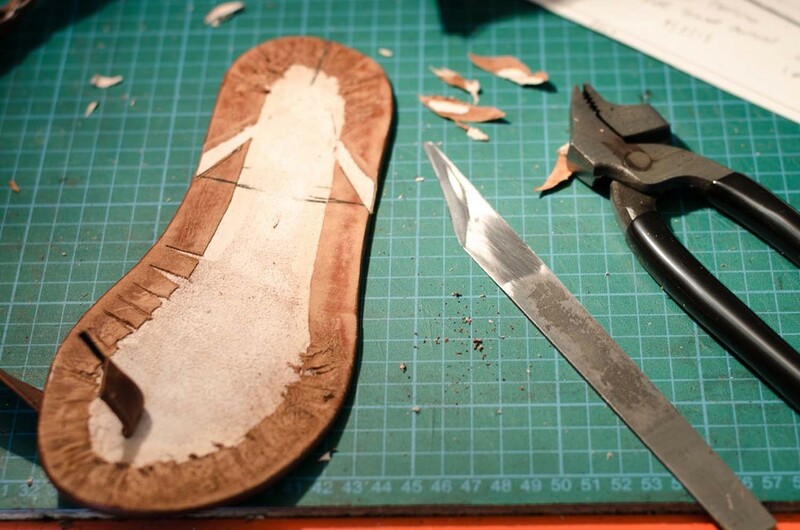 They are made from super soft calf skin.